Please contact places that you’re interested in volunteering at directly. We do not make volunteer referrals. The best bet is thinking of the places you want to be at and contacting them. My name is Lesli Wang. Unsuccessful in finding a portable toilet safety that would allow my Mom to safely use a toilet away from home, I invented the Free2Go Rollator, the first product to combine bathroom safety AND mobility. My product has been extremely well-received by OTs here on the mainland. I will be on Oahu September 20th – 27th, and would love an opportunity to meet with OTs to discuss this innovative product. If you happen to have any meetings during that time, is it possible for me to join? I would be happy to provide snacks/refreshments. Please visit us at http://www.free2gomobility.com. My name is Gary. I am looking for confirmed dates for the 2017 OTAH conference. The only information posted here is from last year. I need to book tickets in the next two days if possible. What are the confirmed dates and is there a listing of workshops yet? I noticed last year seemed more oriented for school OT. Will there be some workshops for physical disabilities this year? We will be posting some info on this shortly. Thank you! 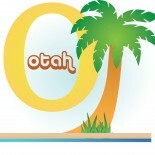 Does anyone of the officers know if it’s ethical and the scope of practice for a COTA to do progress notes in Hawaii? Hawaii follows Medicare rules. Your company may also have policies on progress notes also. Please email otassociationofhawaii@gmail.com for further questions.